They have arrived! Spring 2019 Litter: Deposit Reservations now being accepted. Go to our Contact US page to apply. We are respected breeders exclusively of Alaskan Malamutes for over 50 years. 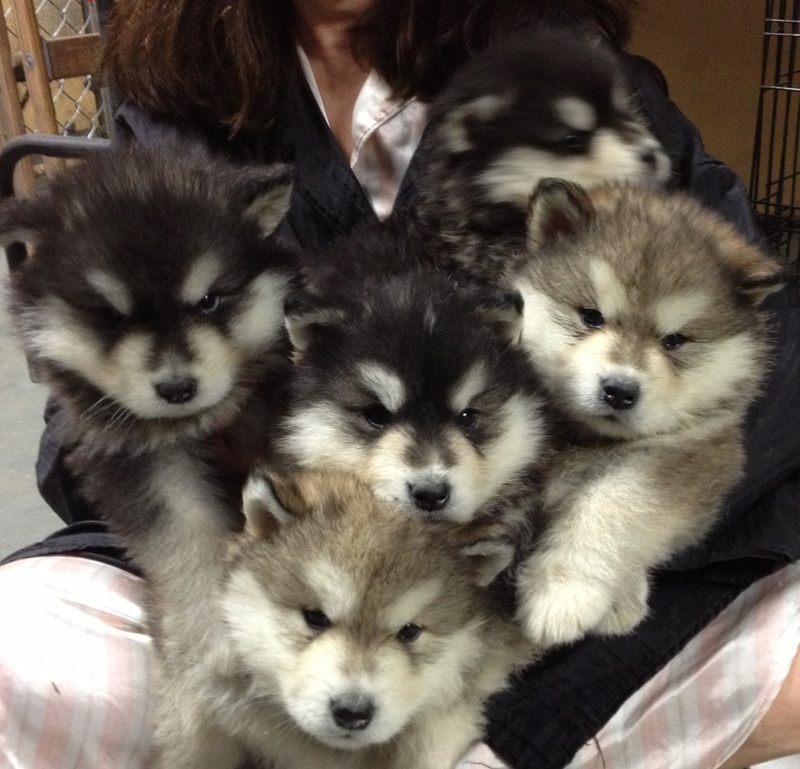 We are recognized worldwide for healthy, beautiful, good tempered Alaskan Malamutes. Our current Uyak breeding combines a highly sought after pedigree that includes both the best of our outstanding recent 'National Specialty Show Dogs" as well as our beloved historical Ch. Geronimo George and International Champion, Dusty. Our dogs have been, for decades, proven Working Dogs as well as beloved, healthy pets. This tradition continues as we also demonstrate our decades of talent by producing current top 'winners' in the Show Rings. **GOLDEN ANNIVERSARY*** 2016 marked Uyak's 50th Year as key influencers in this breed. We are proud of our commitment to healthy, sound, typey and good tempered Alaskan Malamutes. Into our Fifth Decade as Master Breeders of The Alaskan Malamute, Uyak is producing and demonstrating our continued talent as malamute breeders in protecting and preserving the sustained qualities that make Uyak a long time admired and contributing breeding kennel. We are proud of our ability to produce some of the finest and strongest progenators in breed history. And we are proudest of our unsurpassed track record at producing healthy, beautiful, well tempered pets. Deposits are now being accepted for our upcoming litter! 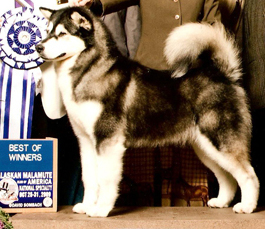 Master Breeders of Alaskan Malamutes with decades of hands-on experience involving many of the finest dogs in breed history originating from Husky-Pak & Kobuk. 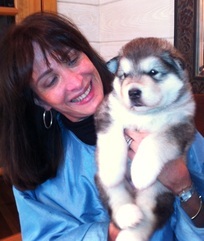 Uyak is one of the oldest, most established, respected and experienced Alaskan Malamute kennels in the world. 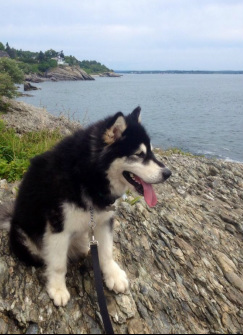 For decades, we remain dedicated breeders of AKC Alaskan Malamutes, conveniently located on the North Shore of Long Island in the metropolitan New York area approximately 45 minutes east of Manhattan. Uyak is pleased to present our website representing a half century of the work we have accomplished as a small, boutique, breeding kennel with a world reknown bloodline. Established as a family endeavor in 1966 with our first show dog, Uyak (pronounced OOH Yak). Our lifetime of experience in a disciplined breeding program continues to produce generations of exemplary Alaskan Malamutes that are instantly recognizable, highly sought after and admired by fellow breeders and fanciers, worldwide. Our decades of commitment to the breed also continues to be an important resource for families and individuals seeking a well bred, top quality, beautiful, physically and mentally healthy pet malamute. Through Paula's legacy and her progressive breeding plan, we plan to continue to selectively share the historic Uyak bloodline with like minded fanciers of our beloved breed. With the help of this website, we invite a broader and more recent audience to learn more about Uyak dogs which are characterized by a common aesthetic along with the power of our singularly prepotent, undiluted Uyak pedigree. Perhaps most importantly, from the dog's point of view, we invite you to experience our commitment to much loved and cherished family pets and companions. The Uyak bloodline, crafted from M’loot, Kotzebue & the important influence of the Hinman-Irwin dogs, enjoys the power and ability to carry forward and continue to reproduce the best of all foundation Alaskan Malamute characteristics through its current 23 generations of disciplined linebreeding and occasional crossing. Uyak Alaskan Malamutes are from breedings that are Uyak planned, selected and carefully screened directly and in person by Paula & Harold. It is our talent, experience and finely tuned breeder's eye for evaluation and selection , along with our unparalleled hands-on knowledge of our genetics over five decades that creates an Uyak dog. Only Uyak can use this name (which is a registered kennel name with the AKC). It has been proven time and again, that kennel names in pedigrees mean little without the judgment of the breeder who is responsible for the pairing of the parents and the archive of direct, hands-on knowledge of the many generations of dogs that preceded. This website is for informational purposes only. If you are interested in acquiring an Uyak Alaskan Malamute, we look forward to meeting you and invite you to visit to our kennel. Tribute: To all AMCA (Alaskan Malamute Club of America) members who have benefitted by the contribution of Harold’s pedigree analysis in identifying the importance of Kobuk’s Dark Beauty, his hands-on experience with many of these dogs for close to 50 years and the influence he has passed on through his mentors, Short Seeley, Bill Dawson and Bob Spawn. Harold's extraordinary vision and creative initiative was to be the first to identify and then combine a carefully chosen set of the best of Kodara Alaskan Malamutes with select T'Domar studs. With limited and occasional breeding over the years, (given our values and goals as a boutique kennel), our overall percentages in producing top influencing progenators is unprecedented; beginning with the impact of the historic top producing stud Ch. Uyak Buffalo Bill, ROM & his first born son, Ch. Karohonta Skymaster, ROM (Jake). We encourage you to study the pictures of our dogs over the years to see how our well planned breedings produce uniformly typey dogs of classic style, soundness, good health, temperament and proper structure. Today, our talent is evident with Uyak's power and discretion to perpetuate itself through authentic live and frozen Uyak breedings. Our critical eye for selecting and cultivating extraordinarily beautiful, healthy, sound and well tempered dogs means that Uyak Alaskan Malamutes continue to thrive in a diversity of roles as top quality, expertly bred pets, show, obedience and working sledge dogs. This website & its contents are copyright protected. No part may be copied or reproduced without written permission from its authors.